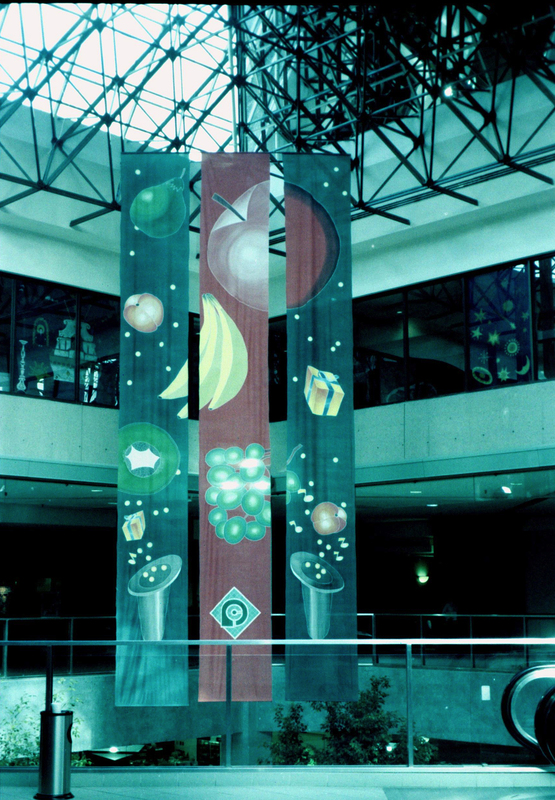 This image is of a silk painting installation in Quebec, Canada. The panels measured 30ft x 45″. Created in 1995 at my St. Lucia Silk Studio. 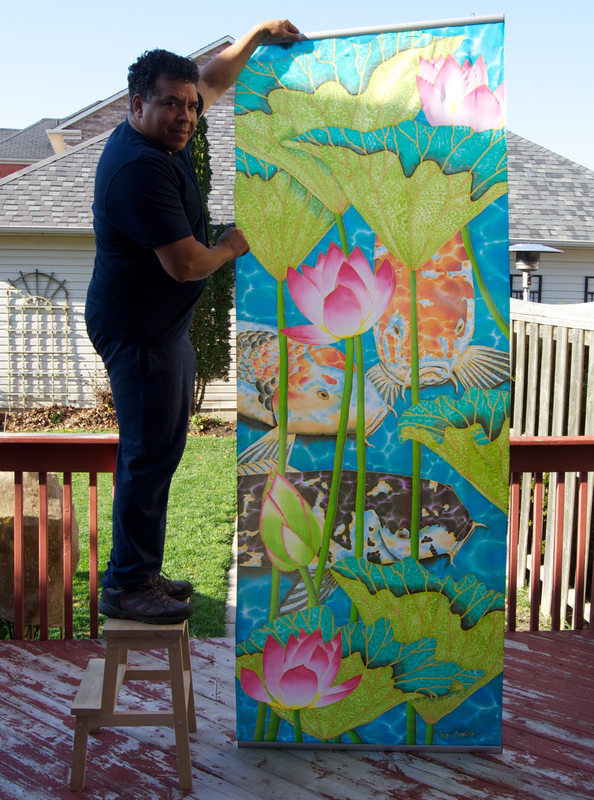 My latest silk painting measuring 36″ x 96″ to be installed to hang from the ceiling without being framed. It will hang suspended like satined glass textile. Your work is so beautiful! Bravo! Thanks Katherine, I love your painting style.